Google and Microsoft ended Intel’s plans for dual-boot Windows and Android PCs, but you can install Windows 8.1 alongside Windows 7, have both Linux and Windows on the same computer, or install Windows or Linux alongside Mac OS X. Your computer’s operating system is generally installed on its internal hard drive. When you boot your computer, the BIOS loads the boot loader from the hard drive and the boot loader boots the installed operating system. There’s no limit to the number of operating systems you he installed — you’re not just limited to a single one. You could put a second hard drive into your computer and install an operating system to it, choosing which hard drive to boot in your BIOS or boot menu. You could also boot an operating system — like a live Linux system or a Windows To Go USB drive — from external storage media. When you install a Linux distribution, it typically installs the Grub boot loader. Grub loads instead of the Windows boot loader at boot time if Windows was already installed, allowing you to choose the operating system you want to boot. Windows also has its own boot loader, which can be used to select between different versions of Windows if you have more than one installed. Different operating systems have different uses and advantages. Having more than one operating system installed allows you to quickly switch between two and have the best tool for the job. It also makes it easier to dabble and experiment with different operating systems. For example, you could have both Linux and Windows installed, using Linux for development work and booting into Windows when you need to use Windows-only software or play a PC game. If you like Windows 7 but want to try out Windows 8.1, you could install Windows 8.1 alongside Windows 7 and choose between the two at boot time, knowing you’ll always be able to go back to Windows 7. If you’re using a Mac, you can have Windows installed alongside Mac OS X and boot into it when you need to run Windows-only software. You could use virtual machine software instead of setting up a dual-boot system, but a dual-boot system lets you actually use both operating systems on your hardware at full, native speed. You don’t have to deal with the overhead of a virtual machine, which is especially bad when it comes to 3D graphics. The downside is you can only use one of your installed operating systems at a time. If each operating system is installed to a separate drive, you could actually switch between both by selecting a different drive as your boot device every time you boot. This is inconvenient and you’ll probably have two operating systems installed on the same drive, so that’s where a boot manager comes in. 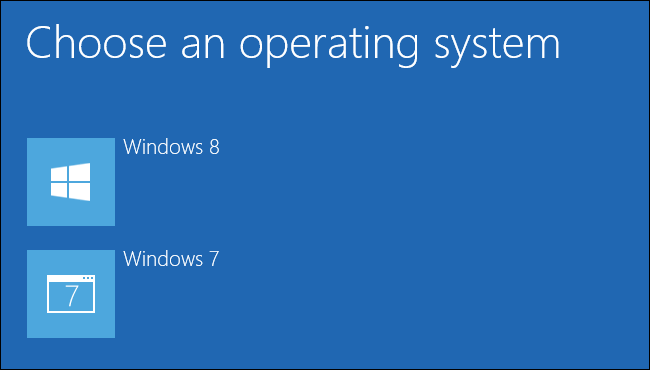 Switch between your installed operating systems by rebooting your computer and selecting the installed operating system you want to use. If you have multiple operating systems installed, you should see a menu when you start your computer. This menu is typically set up when you install an additional operating system on your computer, so you won’t see if you just have Windows installed or just have Linux installed. Dual Boot Windows and Linux: Install Windows first if there’s no operating system installed on your PC. Create Linux installation media, boot into the Linux installer, and select the option to install Linux alongside Windows. Read more about setting up a dual-boot Linux system. Dual Boot Windows and Another Windows: Shrink your current Windows partition from inside Windows and create a new partition for the other version of Windows. 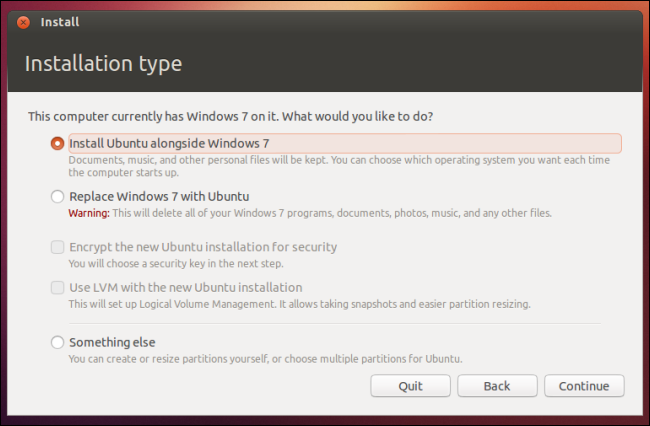 Boot into the other Windows installer and select the partition you created. Read more about dual-booting two versions of Windows. Dual Boot Linux and Another Linux: You should be able to dual-boot two Linux distributions by installing one first and then installing the other. Choose to install the new Linux system alongside your old Linux system. Resize your old Linux partitions in the installer and create new ones to make space if the installer won’t do this autoamtically. Dual Boot Mac OS X and Windows: The Boot Camp utility included with Mac OS X allows you to easily set up a Windows dual-boot system on your Mac. Dual Boot Mac OS X and Linux: Boot Camp doesn’t allow you to set up a dual-boot Linux system, so you’ll need to do a bit more footwork here. Follow our guide to installing Linux on a Mac for more details. You aren’t limited to just two operating systems on a single computer. If you wanted to, you could have three or more operating systems installed on your computer — you could have Windows, Mac OS X, and Linux all on the same computer. You’re only restricted by the storage space available on your computer and the time you want to spend setting this up.